Drugmakers aiming to tackle alcoholism, a condition that affects 17 million Americans, may have a smoother path to market under a U.S. proposal to guide development of treatments. Drugs to treat alcoholism can gain approval by proving patients using them no longer drink heavily, the Food and Drug Administration clarified Wednesday. The agency released draft guidelines for pharmaceutical companies wanting to develop alcoholism treatments that make clear that sobriety doesn’t have to be the main goal. 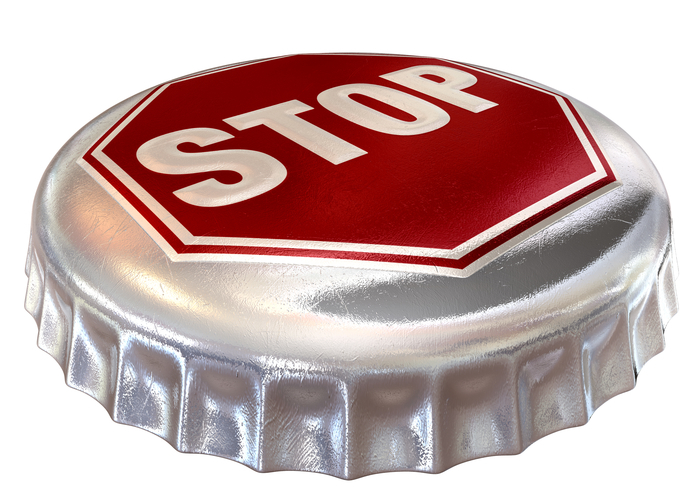 “The abstinence-based endpoints have often been considered an unattainable threshold in the clinical trial setting, and may be considered a hindrance to clinical development for drugs to treat alcoholism,” Eric Pahon, an FDA spokesman, said in an e-mail. Clinical trials of the three drugs that are FDA-approved and sold for alcoholism focused on sobriety, and most required patients to be abstinent to start the studies, Pahon said. The National Institute on Alcohol Abuse and Alcoholism has said current medications are effective for some but that more treatments are needed for the broader population. “While total abstinence from alcohol is desirable, reducing heavy drinking to within ‘low-risk’ daily limits presents an alternative goal in drug development so more treatments may be developed,” Pahon said. Industry, researchers and addiction and recovery groups can comment on the proposal for 60 days. The drugs sold for alcoholism are: naltrexone, which limits the release of pleasure-inducing dopamine caused by alcohol; acamprosate, which can be used by those who have quit drinking to stay sober; and disulfiram, known as Antabuse, which creates unpleasant side effects in people who drink. Alcoholism is identified as continued drinking despite physical and psychosocial consequences, according to the FDA proposal. Ultimately, an alcoholism drug should improve those consequences, which can be done through sobriety or a reduction in the use of alcohol, the agency said. The NIAAA defines heavy drinking as a man consuming more than four standard drinks in a day or a woman taking more than three. A standard drink in the U.S. contains 14 grams of alcohol, which could be in the form of a shot of hard liquor, a 12-ounce bottle of beer or a 5-ounce glass of wine. Selincro, made by H. Lundbeck A/S and Biotie Therapies Oyj, is the first and only drug approved in the European Union for reducing alcohol use, according to Bloomberg Intelligence analyst Grace Guo. Arbaclofen from Reckitt Benckiser Group Plc and XenoPort Inc., TKM-ALDH2 from Tekmira Pharmaceuticals Corp. and Alnylam Pharmaceuticals Inc. and ADX71441 from Addex Therapeutics Ltd. are in early development to treat alcohol-use disorder, Guo said. The NIAAA said in September it would start a clinical trial in the first half of this year on Santa Clara, California-based XenoPort’s restless-leg syndrome medicine Horizant as a treatment for alcohol use disorder.